The Winneba High Court has fixed 10 July, 2017 to rule on a motion for interlocutory injunction on the Governing Council of the University of Education, Winneba. Defence Counsel for the school, Peter Zwennes is praying the court to dismiss the application filed by Supi Kofi Kwayera of Winneba against the Governing Council of the University for overstaying their tenure. Mr. Zwennes and Mr. Fredrick Sampson Gurah who represented the University of Education prayed the court to dismiss the motion since the plaintiff had no capacity to meddle in the school’s affairs.Mr. Zwennes also filed a motion on behalf of the University Teachers Association of Ghana (UTAG), Winneba branch of the University to join the suit. The Defence Counsel challenged the jurisdiction of High Court to hear the case bordering on the fundamental human right of the 1992 Constitution. Supi Kwayera had filed a suit under Act 23, 41(1) and 296 of the 1992 Constitution of the Republic of Ghana praying the court to place an injunction on University Governing Council from executing their duties. He is also praying the court to enforce Section 8 of ACT 678, section 38 and 39 of ACT 663. A private citizen, Supi Kofi Kwayera, in May sued the University of Education and the Education Ministry for what he said was the unlawful extension of the school’s Governing Council’s tenure. He also accused the Governing Council of misappropriating the funds of the University after the expiration of two tenures in 2013 in his writ. 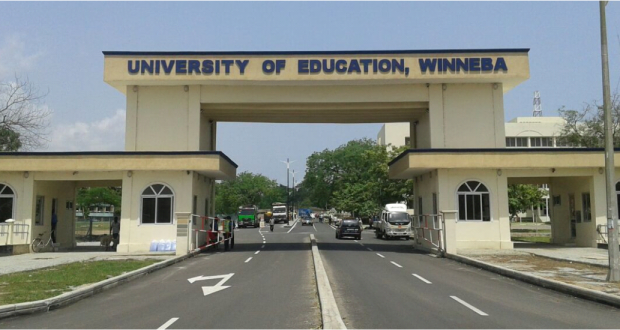 The suit came months after the Member of Parliament for Effutu, Afenyo Markin, called for the immediate withdrawal of thousands of certificates issued by the University of Education, Winneba, since 2013.